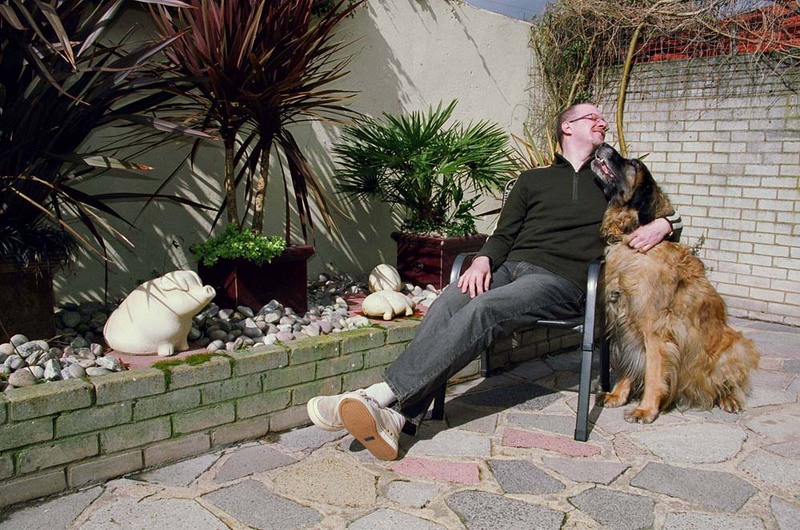 Those of you who have known me for some years will know why my website is called Hugoshouse, newer friends and customers ask me why I chose the name so I thought it was time to explain. 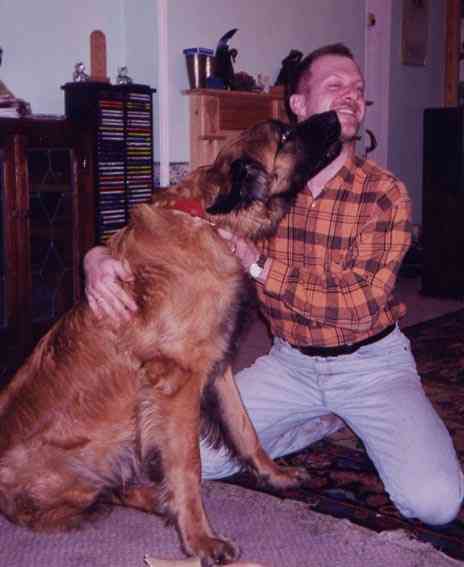 The answer is very simple, I had a dog called Hugo, he was my constant companion and it seemed perfectly natural to adopt his name. 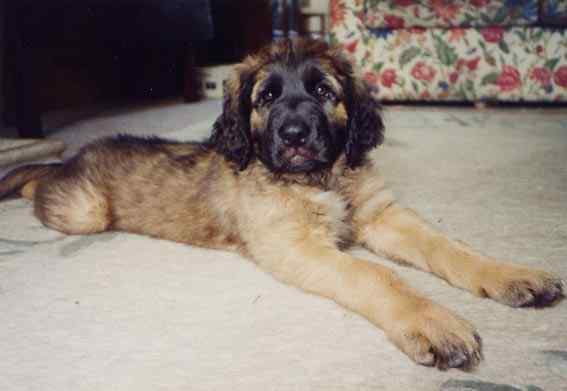 Hugo died in 2007 but my website had already long carried his name and it always will. I am writing this on my blog so that it will be here as another little tribute and an excuse to post some photos of my dear old pal, providing I don't have to take too many breaks to shed a tear for him in the process. 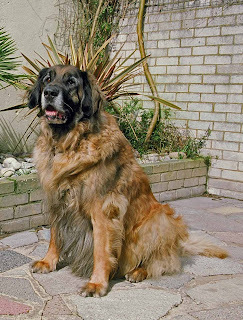 Hugo was a Leonberger, when I was chosing a breed I confess I looked through a guide to dog breeds and just thought that it was such a noble handsome dog, I didn't realise that they were rare in the UK so I was very pleasantly surprised to find one of the top breeders with a litter of 15 puppies. 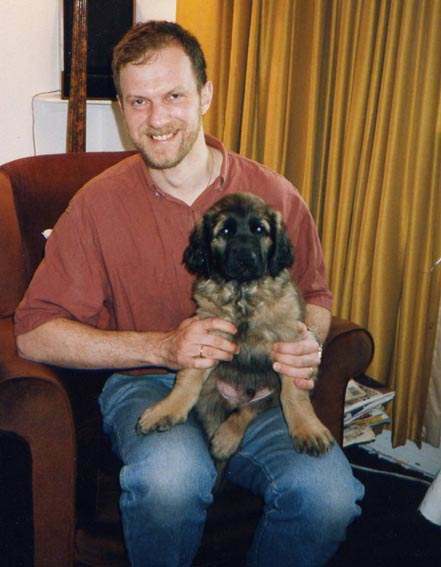 I first met them at 4 weeks old and one of the little boys just bounded up to say hello, that was the moment I met Hugo and I could barely wait for the extra 5 or so weeks before he could come home. When the great day came I made the journey armed with blankets, toys ready to comfort the little chap on his journey into the world, my much older cross-bred dog Alice came for the ride as I thought it best they met as soon as possible. Well, about 10 minutes into the journey the "nervous" baby was exploring the car and chewing any parts of it which he could fit his teeth around so stopped and put him in the back with Alice, she instantly adopted him and he clearly felt comfortable and I just sensed that everything was going to be just fine, he was a wonderful bold chunky pup and fitted in just perfect from the earliest moments. 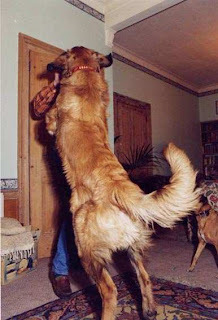 I had wanted a large breed dog, and he certainly lived up to the anticipated rapid growth soon becoming much larger than Alice although she always seemed to mother him and was quite capable of putting him in his place even when he was many times larger than she. There is a doggy lifetime of adventures which are my memories of him all I will say here is that he was a devoted, playful loyal friend through times which I found especially difficult. He was exactly what a dog should be and I thoroughly enjoyed being owned by him. I don't want to dwell on his passing but it had the most enormous impact on me and I still find it deeply upsetting to recall even though it was as natural and peaceful as I could have wished, perhaps I am just writing it down, albeit as briefly as I can, because I never have and I need to. 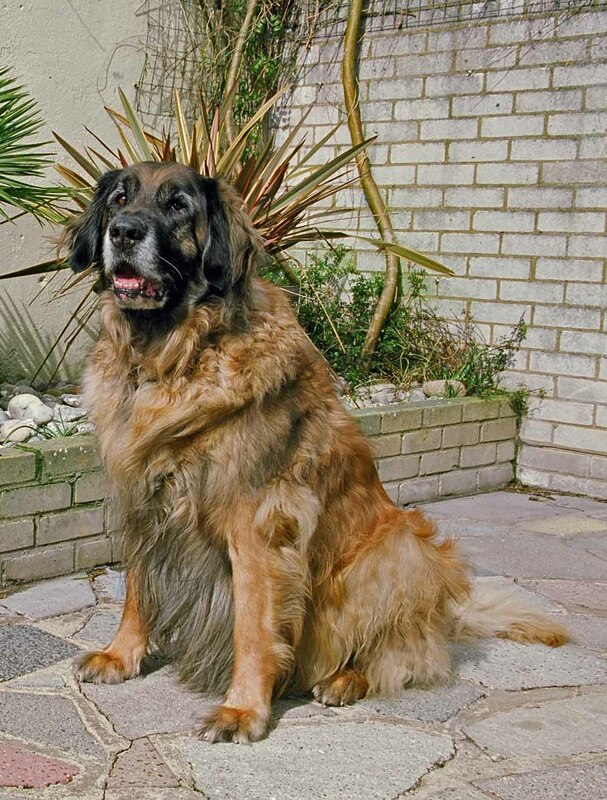 So my website will always be called Hugoshouse... his spirit is still very much with us and I am sure he would have had immense fun with my gorgeous Newfies Angus and Posh, they enjoy the same wonderful country walks as did Hugo and we sit in the same favoured spots to admire the countryside views. 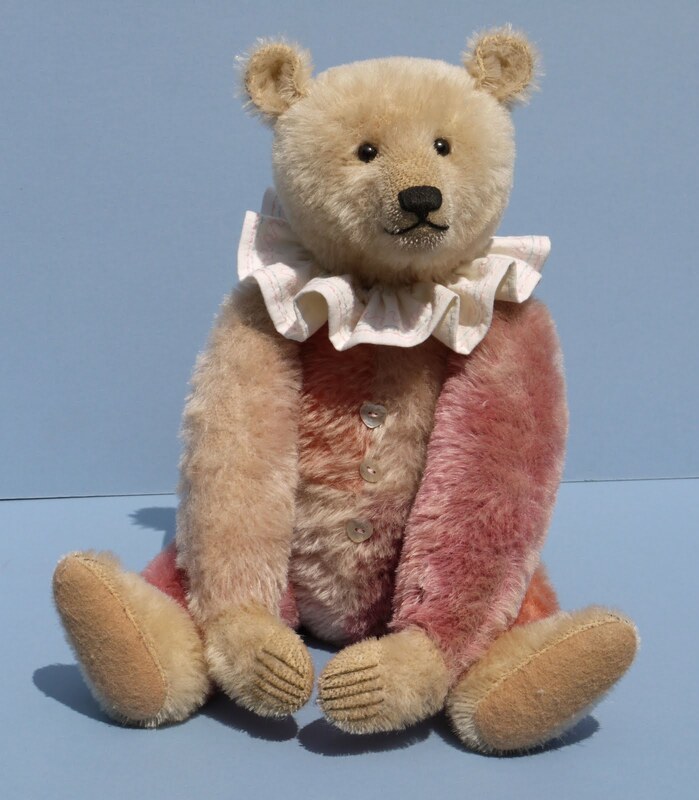 In my earliest bear collecting days I was drawn to the classic vintage bears. In my own work I periodically revisit my own classic bears patterns with the benefit of experience. 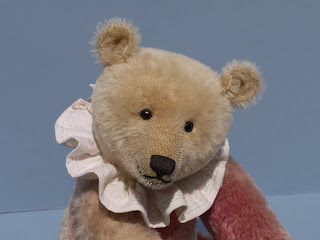 I was always enchanted by the fragility of some the vintage bears, they bore the signs of many years of Teddy Bear duty as companion and comfort for their first owners and I try to simulate this gentle wear in many of my own classic bears. I also like the feel of a very old bear, the firm but crunchy feeling aged wood-wool, the looser limbs and saggy parts are very much part of the appeal. I remember being very taken with a little Steiff bear at Christie's which was almost completely empty, it just asked to be treated very kindly and be taken care of. 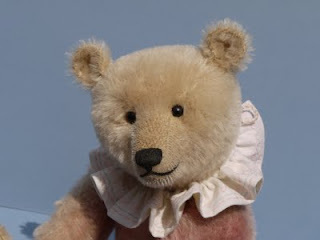 So as well as in appearance I have also been braver in making some of my classic bears feel fragile and understuffed so that they invite care and gentle attention and have the right weight and feel. 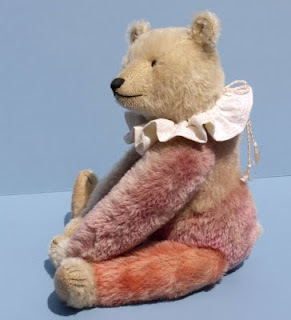 This little bear is my latest pattern, around 14 inches tall and made as a Teddy Clown so I can have a bit of fun with some delicate colours, adorned with a simple cotton collar and shell buttons on the costume. This one has been named Miranda, unusual for me to make a girl bear but I had just been watching Miranda Hart who always cheers me up so I thought this bear could adopt her name.